Hello Spring! I am so glad you have finally arrived! I have waited on you for what seems like forever, so you are most definitely welcome here. Happy 1st Day of Spring Y'all! If you can't already tell, I am so excited that Spring is finally here. I can't wait for warm sunny days, beautiful flowers, birds chirping and more daylight. Spring always cheers me up, and gets me out of my winter funk. Today I have put together my Spring Bucket List for 2019. Every Season I like to put together a Bucket List of all the things I hope to accomplish, so this year is no different. 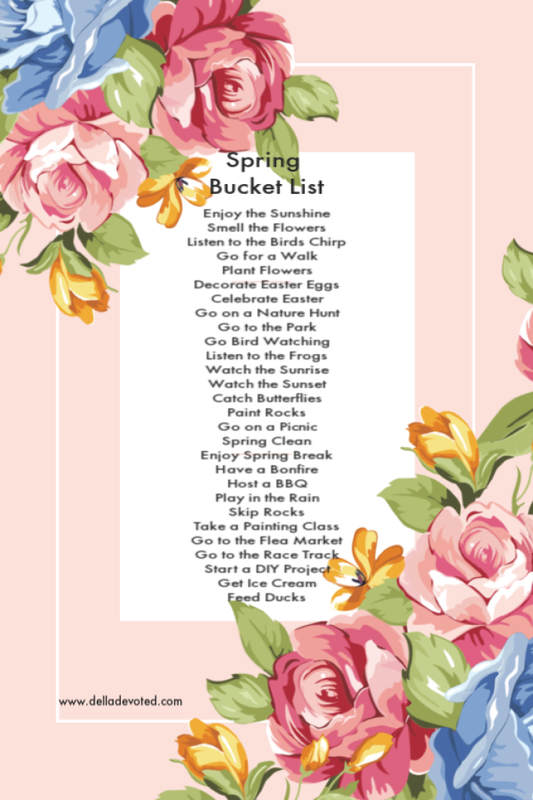 I hope this Bucket List gives you some inspiration to get out and enjoy the beautiful weather and make some wonderful memories this Spring. What's on your Spring Bucket List?